Despite a tendency of modern cosmetologists to question unique properties of this method, scalp massage is a very useful, soothing and even necessary therapeutic procedure that helps prevent hair loss. It has been used for centuries by the people of various cultures and social statuses. Specialists suggest doing regular scalp massage even if your hair is healthy and gorgeous. Such massage improves blood circulation, helps to strengthen hair follicles and stimulates development of new ones. 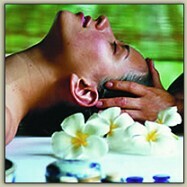 Besides, scalp massage reduces stresses, has relaxing effects and can help to relief headache. • Massaging your hair with brush: tapping and stimulating your scalp with a brush. • Hair pulling: one of the most relaxing types if done by a specialist, includes gentle pulling your hair gradually around the entire scalp. • Oriental type: tapping your scalp with the fingers from the center of the scull down to the ears. • Indonesian type: tapping your scalp with knuckles, combined with special breathing and body exercises. • Aromatherapy: using essential oils or herbal oils when massaging your scalp. Though scalp massage is considered to be quite a universal stimulative and preventive measure, it must not be recommended to those people who suffer from very intensive hair loss because scalp massage can escalate the process. Or, you can consult your doctor who can help you to choose the best time and frequency of massaging your scalp. Besides, your doctor can recommend you an individual program that will include using shampoos, conditioners and other hair care products, medications, aromatherapy and other types of hair loss treatments, depending on your particular situation. The other symptoms of hypothyroidism are mild swelling of the feet and legs, heavy lower eyelids, pain in the wrist due to compression of nerves. Can we do Scalp massage with Coconut oil daily early morning and take hair bath daily after that?